OurEnergyPolicy.org | What Will Energy Policy Look Like Under President Trump? President-elect Donald Trump has only vaguely defined his plans for energy policy, via his website and campaign statements and tweets. As a result, one can only speculate how energy policy will change under the Trump administration. Nevertheless, a recent report by S&P Global Platts aimed to predict how electricity will be generated under Trump policies. The analysis assumed Trump would allow subsidies for renewable energy to continue their scheduled scale down through 2020, and enact no new policies to support wind or solar. This is consistent with recent reporting indicating that Trump does not plan to act against renewable energy tax credits. Platts also assumed Trump will follow through on his vow to repeal the Clean Power Plan (CPP), which aims to curb greenhouse gas emissions from power plants. Even without the CPP or new federal policies, Platts projects wind and solar will continue to gain market share. Renewables are expected to reach 21 percent of power generation by 2027, propelled by falling prices, existing tax credits and state policies supporting renewable energy. Utilities are expected to retire a significant portion of coal generation capacity, as coal struggles to compete with natural gas and renewables. Despite Trump’s vow to bring back coal jobs, it is unclear how he would avert closures of uncompetitive coal plants, most of which are over 40 years old. This new administration comes at a pivotal time for both national and global efforts to address climate change. Climate negotiations are currently underway in Morocco to flesh out details of how Paris Agreement commitments will be achieved. So far, countries such as China have reaffirmed their resolve to act on climate, despite Trump’s vow to renegotiate the Paris Agreement and his claims that climate change is a “hoax.” Nevertheless, the decisions of the next administration will reverberate across energy and climate policies both nationally and globally long after President-elect Trump leaves office. 1. If the Clean Power Plan is repealed, will states continue to implement policies pursuing emissions reductions, such as Renewable Portfolio Standards and Climate Action Plans? 2. How far will the United States lag behind its commitments to emissions reductions under the Paris Agreement without implementation of the Clean Power Plan and in the absence of new measures to address climate? 3. Will coal regain competitiveness in power markets, despite low-cost natural gas and growing deployment of renewables? 15 Responses to What Will Energy Policy Look Like Under President Trump? I agree with your first two points. I would expect domestic drilling to be affected more by international markets (i.e., price of oil) than government actions. President elect Trump is first a business man who wants to make America Great Again. When he is made aware that increasing energy efficiency creates jobs and is good for our economy I believe he will push it forward. The Obama Administration had a goal to kill the coal industry. They showed support for the technology Carbon Capture Sequestration (Kemper County) that is so expensive that it is not feesable unless the government pays for it. There are affordable Carbon Capture Utilization technologies that can be applied that transform the CO2 from the combusted coal exhaust into useful – saleable products. Many more full time jobs will be created in a number of industries. I believe that if Trump sees the benefits for the economy and the many jobs that will be created, he will go along with it. The benefits that the Environment get from this is a bonus. I question whether we’re close to finding “affordable Carbon Capture Utilization technologies”. Even where the CO2 is sold for enhanced oil recovery, the capture is far too costly to be viable in the absence of a carbon price. In our CCU System we do not require a lot of power plant steam to strip the CO2 nor a lot of power plant power to cool and compress and then pump the CO2 down a million dollar per mile pipeline to where ever. In our CCU System we use an atmospheric reactor and a minimal amount of electrical energy. If we decide we want to transform the CO2 into a biofuel that will have 2x the calorific value of coal to be combusted alongside the coal, the heat energy that we need will be recovered from the combusted exhaust. If we do apply our technology of Condensing Flue Gas Heat Recovery to recover this heat energy for this process requirement, we are at the same time “creating” water. In fact we can create enough water to make the power plant self sufficient, or create more so that the power plant can become a water supplier to the local community. The numbers do work. The Obama administration when presented with this would not allow for us to be tested at the National Carbon Capture Center because this was not according to their ultimate plan, kill the coal industry. Trump knows now that Clean Coal technologies are there ready to make a coal power plant operate and vent less CO2 into the atmosphere than a natural gas power plant. Coal miners and Coal Utilities can continue to operate, and the Environment benefits. This early in an Administration, it is extremely early to accurately predict anything. Since the incoming Trump Administration is clear that it will ardently support and accelerate fracking for oil and natural gas – it will likely cause these resources to be lower in cost. If natural gas is less expensive than coal, which it is now, I cannot see how coal would increase in use in the USA. He could push coal as an export initiative, which might increase US output some, but not much. While most US electric utilities did not rail against the Clean Power Plan, because most states were already on the path to meet the emissions goals anyway through State-driven Renewable Energy and Efficiency Portfolio Standards and implementation of existing Clean Air Act requirements. So while the CPP set and overarching national understanding, in reality more than half the US, and nearly two thirds of US ratepayers are on the path independently. Most people want clean air and clean water and don’t want to move back to smoggy cities and fires on their rivers of the 1970’s. State and local governments instituted energy efficiency programs and portfolio standards before the push on greenhouse gas emissions reductions because it stabilizes and lower electric rates and reduces emissions. I see no change in that no matter what a new Administration offers up to promote unhealthier or less safe energy choices. The question of what happens to coal if natural gas prices rise is an interesting one. I think it an unlikely scenario given Trump’s support for fracking, but there are a few issues to consider here. 1) When does the price rise occur? If coal plants are shuttered before a price rise were to occur, they wouldn’t be re-opened. Additionally, given the policy risks and uncertainties, I would consider it very unlikely that investors would build new coal plants. 2) What happens to the MATS regulations? As long as these remain in place, this will be a major factor in causing aging coal plants to shut down. Ultimately, assuming Trump doesn’t interfere with market forces (by say, subsidizing the coal industry), the expansion of renewables should still occur, although perhaps not as rapidly as would have been the case under an Obama-like president. What will be especially interesting to see is whether Trump makes efforts to universally remove subsidies, including those for the fossil fuels. I agree with you that new coal power plants won’t be built — they are too costly to compete with natural gas, wind, or solar, and face huge risks if future generations regulate carbon. Also agree that growth of increasingly affordable renewables will continue, albeit more slowly than if Clinton had been elected. As for MATS, power plants have already implemented the controls needed to comply with the regulations, or shut down. The bigger regulatory drivers going forward will be the Regional Haze Rule and attainment of SO2, ozone, and particulate matter standards. One clarification on MATS: I don’t know the rules on exemptions or timelines for compliance, but my understanding was that there are multiple plants that have not yet complied with MATS, have not shut down, but plan to within the next 5. I must admit that I am not all that upset that the CPP would be scrapped. It is far too awkward, bureaucratic and inefficent. We clearly most deal with climate change, but I don’t think this is the best way. The SO2 trading program was only 12 pages. The CPP is a monster. President Rumpletrumpkin will have to deal the climate change. It’s just a fact. Unless he decides the United States will live in their own little bubble (which I doubt the business community will accept, they have too much to lose). As for coal, the economics don’t work, the facilities are woefully inefficient and, last but not least, not so good for the environment. It will be quite amusing if President Rumpletrumpkin tries to subsidize coal, the numbers just don’t work and that, is just a fact. Thanks to President Obama we now have a seat at the table when it comes to the large international effort to deal with climate change. Why give up that seat when it represents a huge new energy industry worth trillions of dollars and many tens of thousands of jobs? It would signal that the USA is no longer the leading world power and that China is. The incoming Trump Administration will have some conflicting goals with traditional energy sources. They will surely promote natural gas and expand fracking, which will mean there will be more available natural gas and at lower prices. This resource is undercutting economic viability for coal and nuclear, which they also have become cheerleaders for. Similarly, the new petroleum find in Texas will surely undercut viability of the XL pipeline as does the global oil glut. 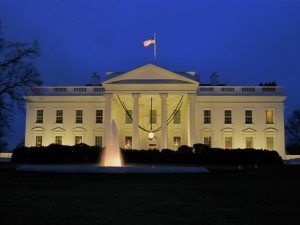 Although energy efficiency is always the lower cost choice than any source of generation, it appears the incoming Administration will try to cut vehicle mpg requirements (CAFE) and rescind Obama Executive Orders on efficiency in federal buildings. Even though we taxpayers pay those utility bills and vehicle gasoline bills and prior Republican Administrations drove these early efficiency procurement guidelines – it appears as a knee-jerk reaction that anything Obama did was wrong. Certain unauthorized Transition Team members have advised that no attempts will be made to ascend renewable energy tax incentives. But others discussing future tax reform legislation are clear that energy efficiency and renewable energy incentives will be allowed to expire while the fossil and nuclear incentives will not only be continued, but enhanced. There has been clear signals on the Trump Administration’s attitude on the Environmental Protection Agency (EPA), not only by allowing a well known climate change denier head the EPA Transition Team, but cutting back EPA to presumably only focus on its roots: air and water pollution. But others on the Transition Team, advise that even those core regulatory roles will become very limited. Very little information has come from the Department of Energy Transition Team, but former campaign staff advised that the fossil and nuclear side will be increased while the energy efficiency and renewable energy side will be cut accordingly. So it appears we are back in the culture wars in energy. The economic reasons will prevail, I believe and as Ivy says … The declining costs, the lack of pollution risks, the states’ mandates and corporate wishes will not derail the change to clean energy.